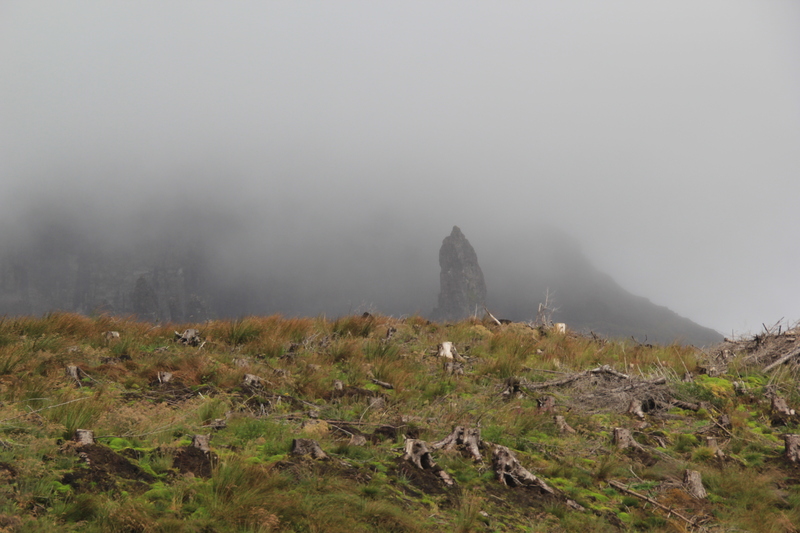 Scotland #11: Old Man of Storr | Nam Writes. 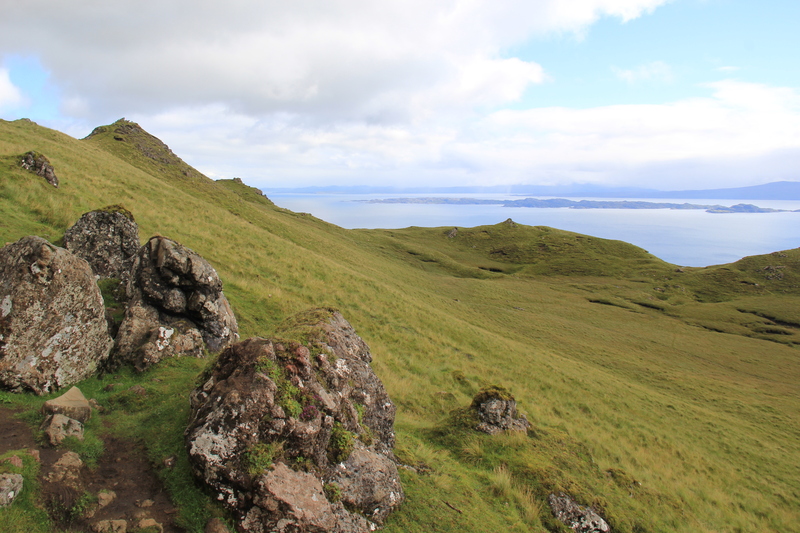 We chose the Isle of Skye because of it’s known for its uniquely, stunning scenery. Don’t get me wrong. 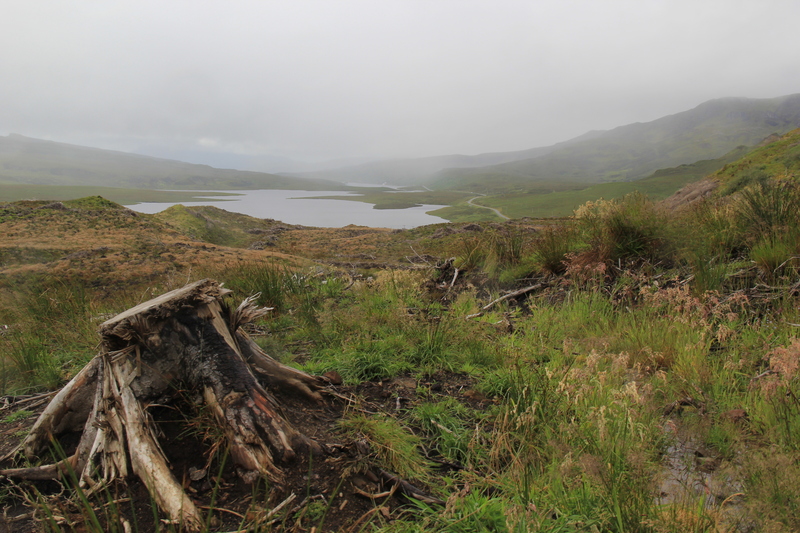 All of Scotland is beautiful. 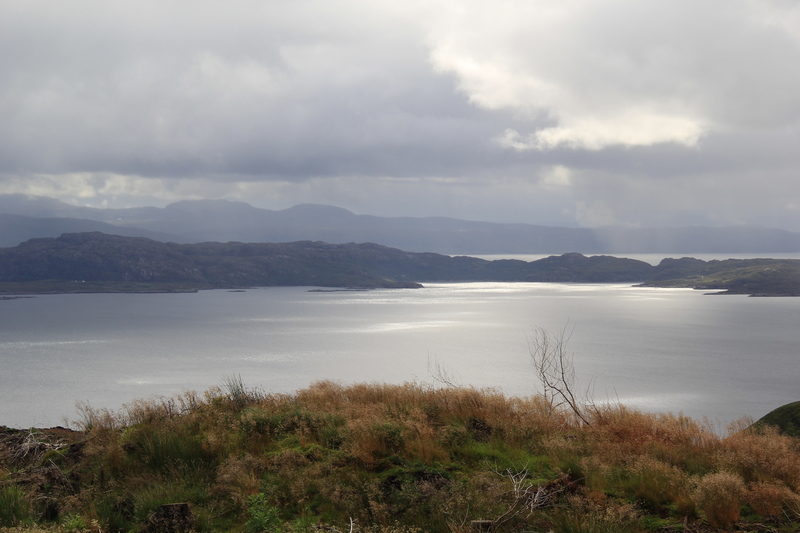 But Skye is weirdly beautiful. 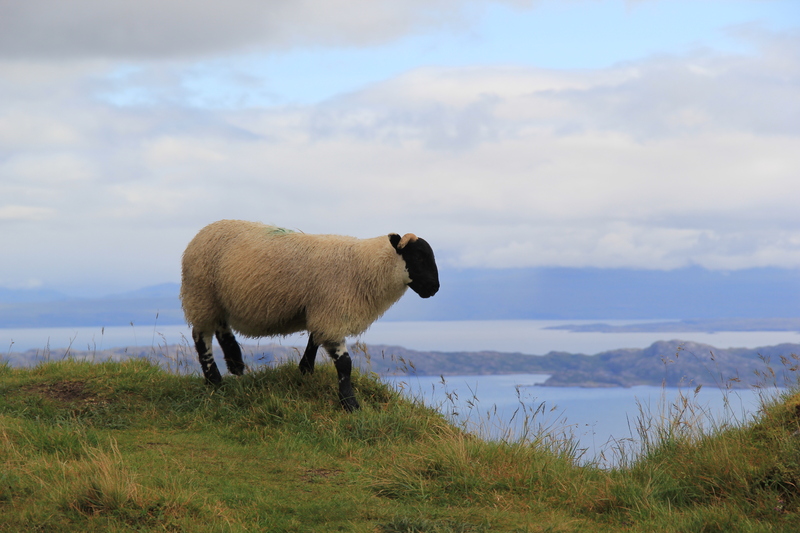 Everything about Scotland is exaggerated on the Isle of Skye – the erratic weather, the fog, the intense beauty, the solitude, the oddly shaped mountains and cliffs. I love seeing beautiful things. But I love seeing weird and beautiful things even more. 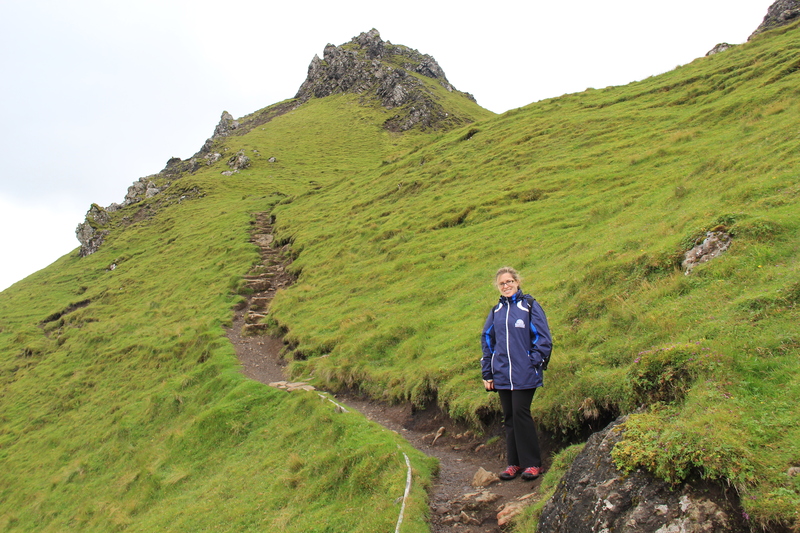 We started the morning with a hike up to the Old Man of Storr, a short drive from our hotel in Portree. 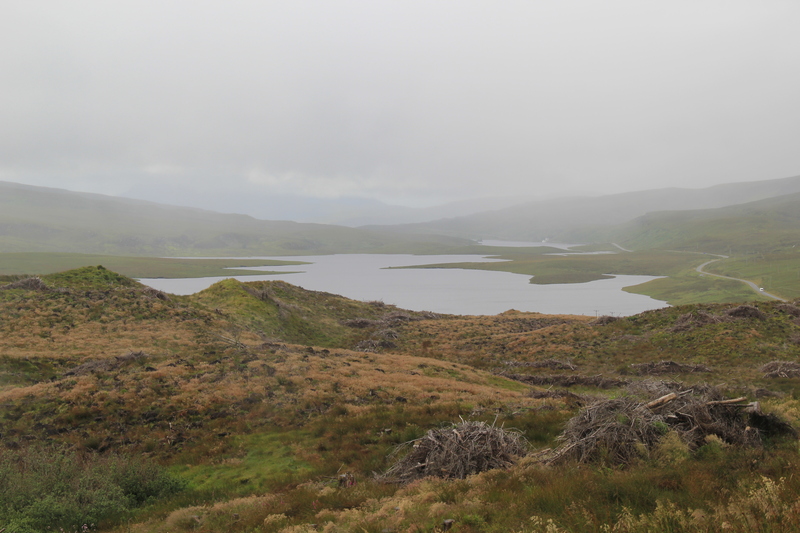 The forecast called for no rain, but the Scottish weather gods had other ideas. Even as the rain fell on us, my weather app continued to say zero percent precipitation. 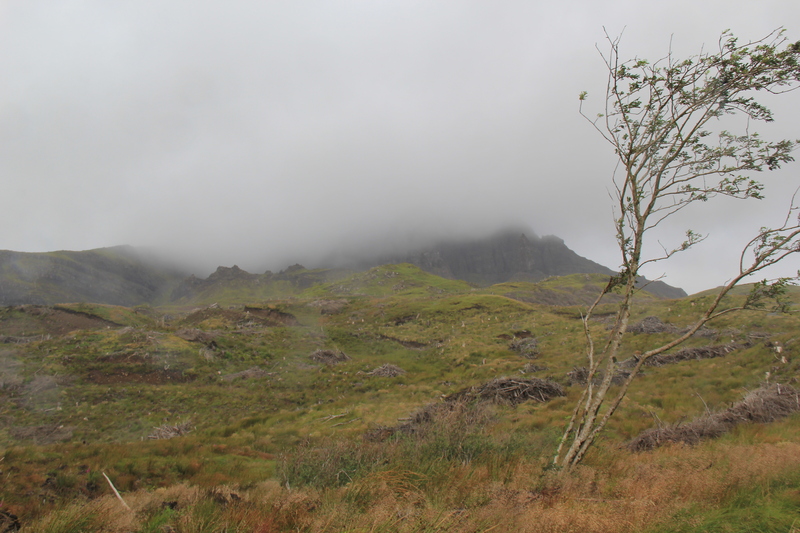 We started the hike with a light drizzle, and proceeded to meet a range of fog, rain, and even a short dalliance with some blue skies. 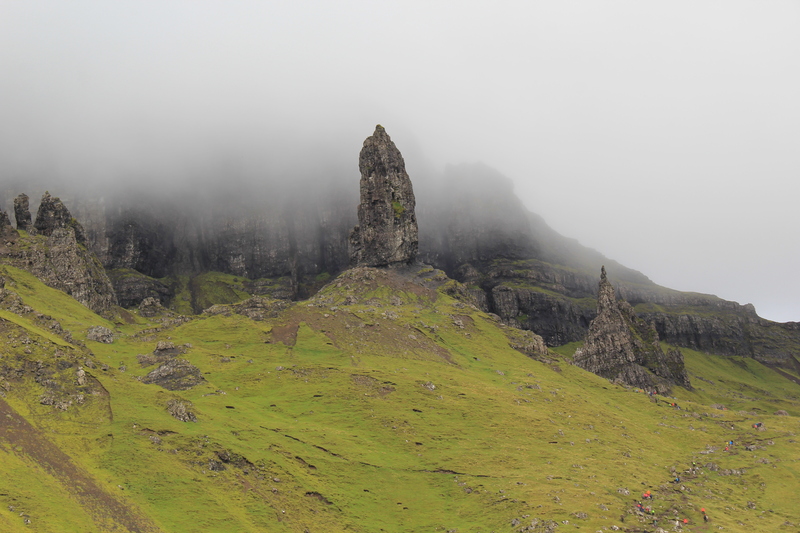 The Old Man of Storr refers to one of the rocky pinnacles poking into the sky. Which one? Good question. 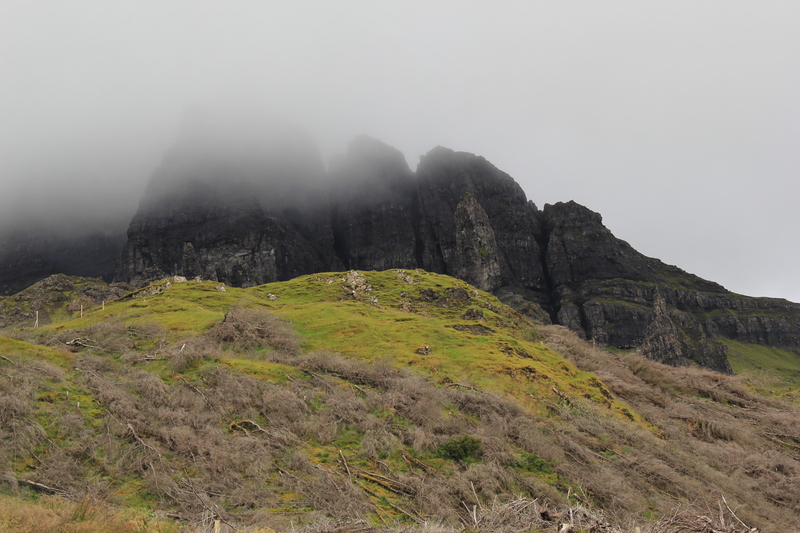 I think it’s the isolated rock standing aloof in the pictures below, but I’m not entirely sure. The important thing is that the Old Man and his friends are freaking awesome looking. The hiking path used to be filled with trees, but they were cut down. Personally, I think it adds to the desolated beauty. 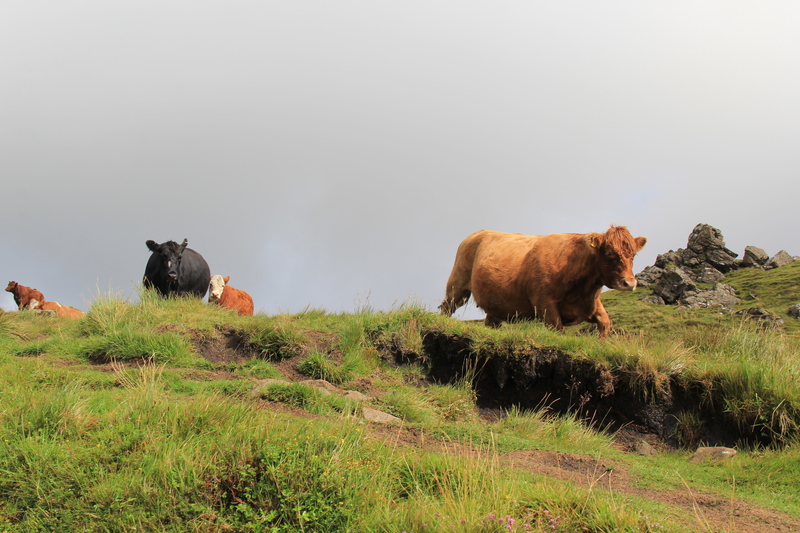 A parade of cows burst onto the scene, running across the hiking path. 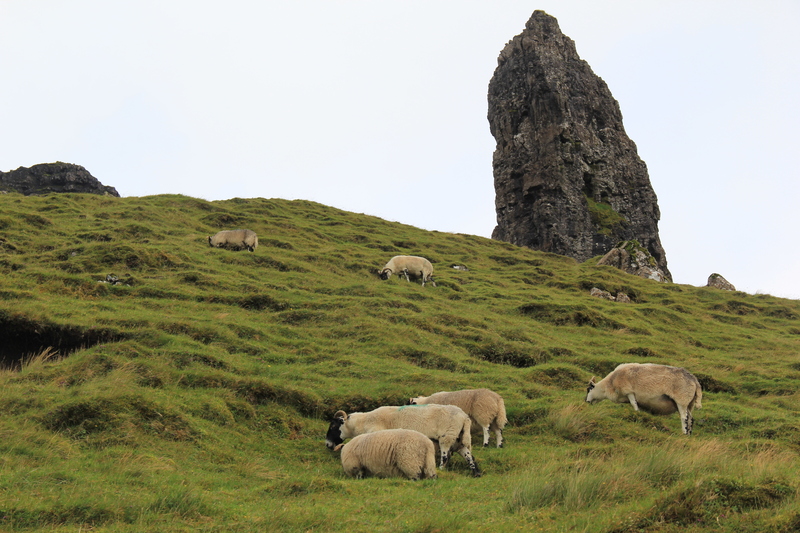 I went a little photo crazy when I saw the sheep. I know, I know. We have sheep in the U.S. 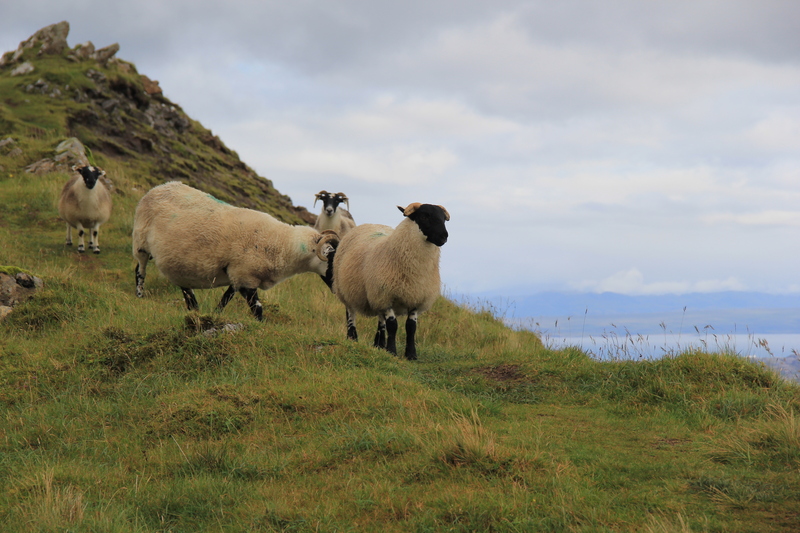 But taking pictures of sheep in Scotland seemed like a necessity and they had been dodging me all trip. Oh hello there blue skies (sort of). Did I mention I’m obsessed with sheep? 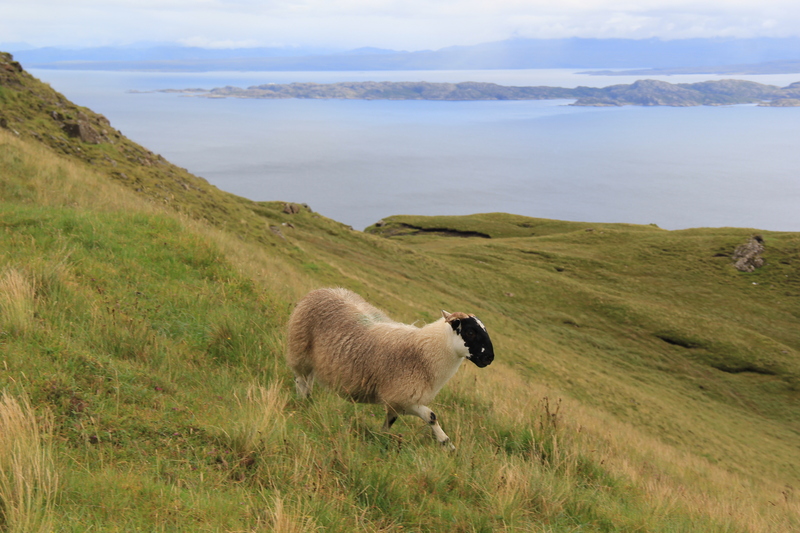 Those sheep photos remind me of hiking in the Lake District in England! I love your photos! 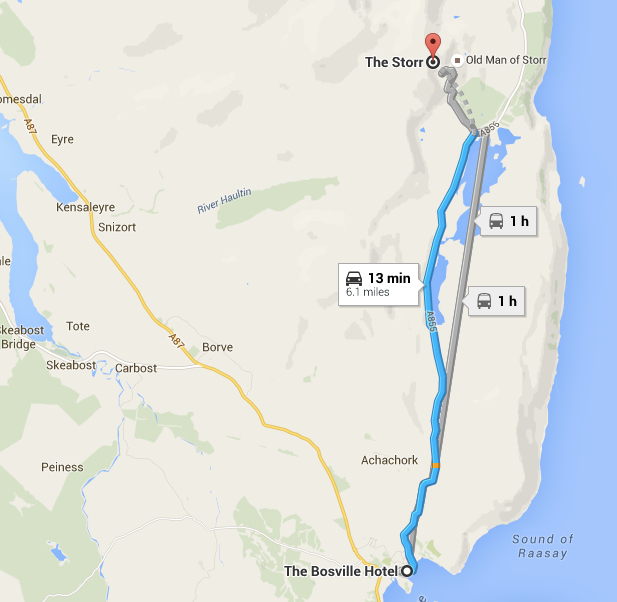 I’m looking at going to Scotland next year. Any recommendations on what I must do? We really enjoyed everything! Edinburgh is a beautiful charming city. 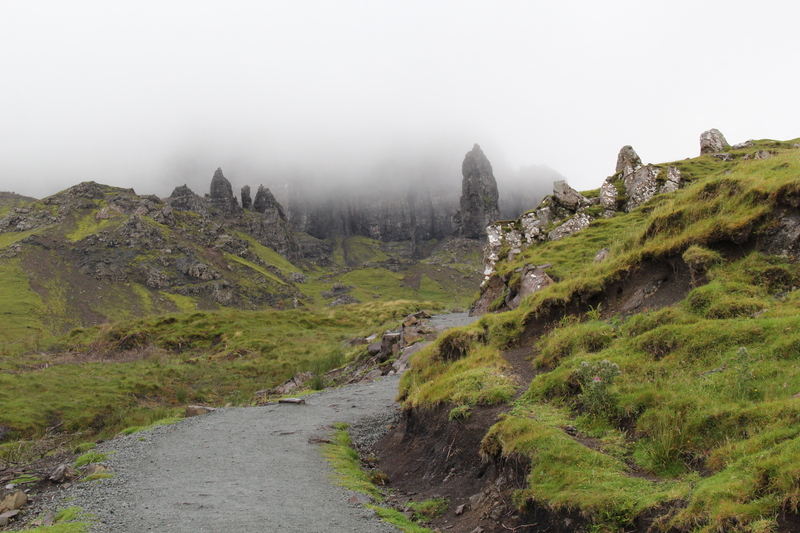 The Isle of Skye is a bit of a pain to get to but so beautiful and different. Many people skip Glasgow, but we spent one day there an enjoyed it. There is great street art there. But I don’t think you need more than a day there. 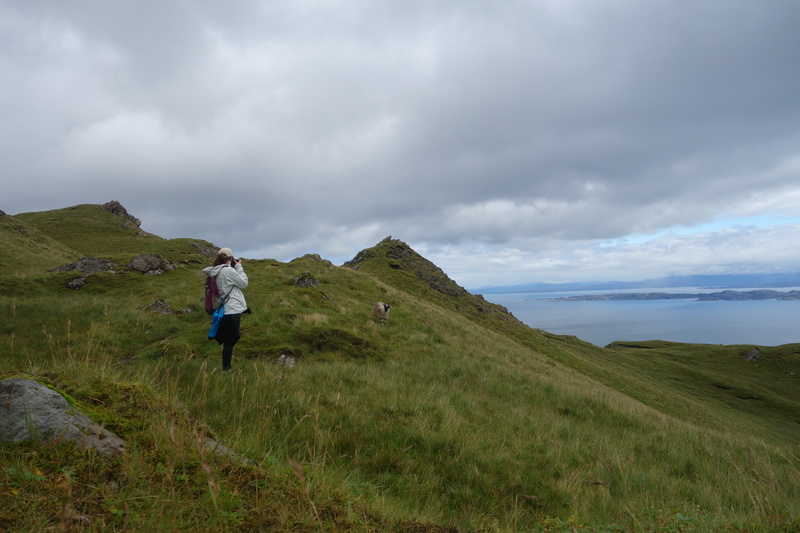 The Fife Coastal Path is also a great stroll if you like taking walks. We didn’t play golf and only visited one distillery so I can’t speak to those activities. I recommend renting a car for the countryside. Thank you for the recommendations! Looking forward to going there!